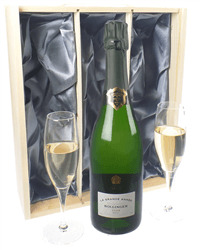 A new gift from Laurent Perrier, their own branded flute coffret gift set. 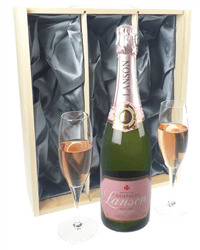 This contains s single bottle of Laurent Perrier NV Champagne and two Laurent Perrier branded Champagne flutes. Personalize this gift by adding your own personal message.